The most complete and effective absorbent in the industry. 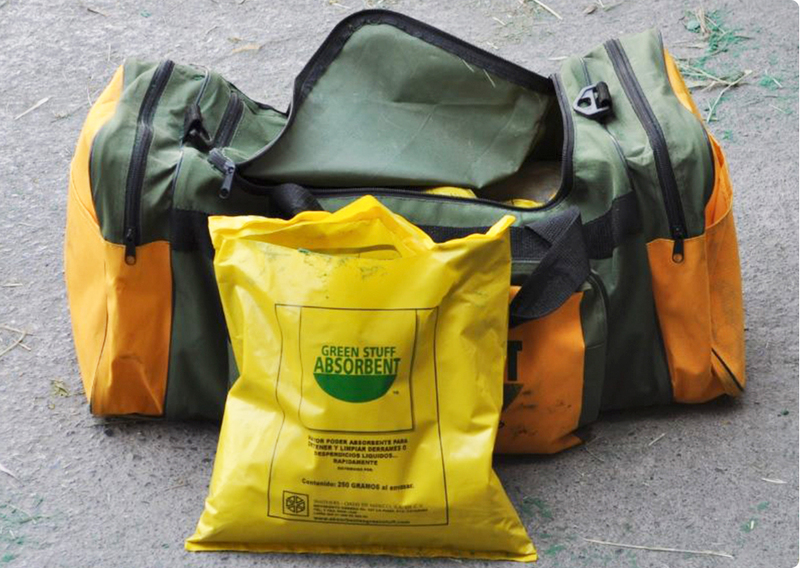 We are a company dedicated to the manufacture and commercialization of Green Stuff® absorbents mainly based on phenolic plastic foam used for the control of spills and leaks of toxic dangerous liquids. In general to absorb almost any type of liquid used in industry, home and civil protection bodies. We are located in Santa Catarina, N.L. to the north of Mexico. We have technical support from our central research and development laboratories in Kent Ohio, USA as well, as feedback to the 20 sister plants around the world. We are a 100% Mexican company that provides fast, safe and effective solutions in your work. Made in Mexico, always on time and quality. Training in the use of absorbents. We have a distributor near you. In our FAQ section you will find answers about our products immediately.